I promised myself an hour or so this afternoon to catch up with a mountain of unread magazines, but typically I’ve ended distracted by something else. 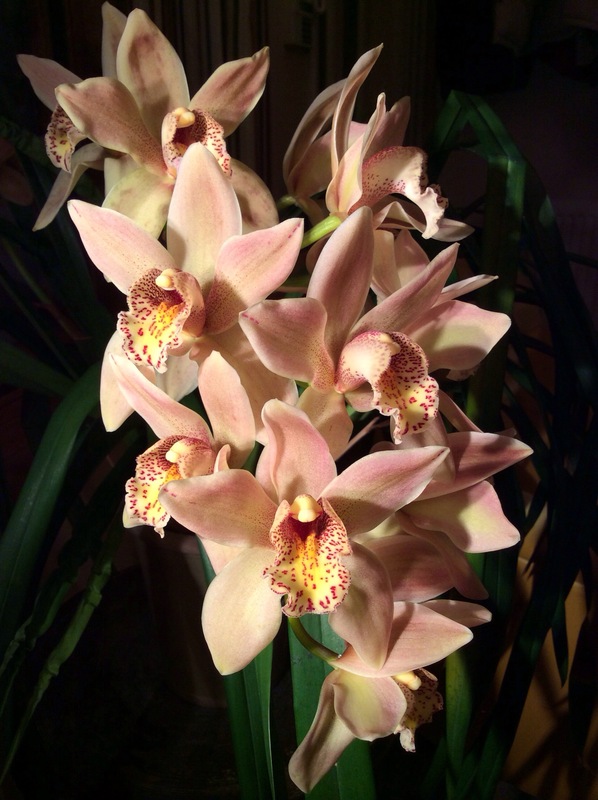 Next to my favourite armchair a cymbidium orchid, bought on a whim last year, is once again begging for my attention. Two long stems are adorned with exquisite flowers the colour of ripening peaches. It’s a pity the untidy leaves are not as alluring, but they can be forgiven when the blooms are this fabulous. These photographs are taken with a new iPad Air, which I am happy to discover has a vastly superior camera to the previous model. Jealous! My orchids go to the neighbor who adopts them from me after they stop blooming. I do get visitation rights, though. He actually got my Cymbidium to rebloom, he didn’t think it would. I have really neglected this one as it looks so scruffy for the rest of the year. Perhaps it enjoys a bit of tough love! I hear on the news you have a nasty storm coming. Hope everything is OK? You heard about the storm too? My son in San Francisco texted me about before I saw it 😉 It was scary. Had to take the kales and cabbages in window boxes down so they wouldn’t blow away. Trying out a new soil in the window boxes this year. Usually I use soil that is light and has a lot of peat and maybe perlite, and dries out too fast for my tastes. This new stuff is heavy! Mostly manure, mushroom compost, and soil. My new orchid got identified by my orchid adoption agency neighbor as being a Dendrobium. 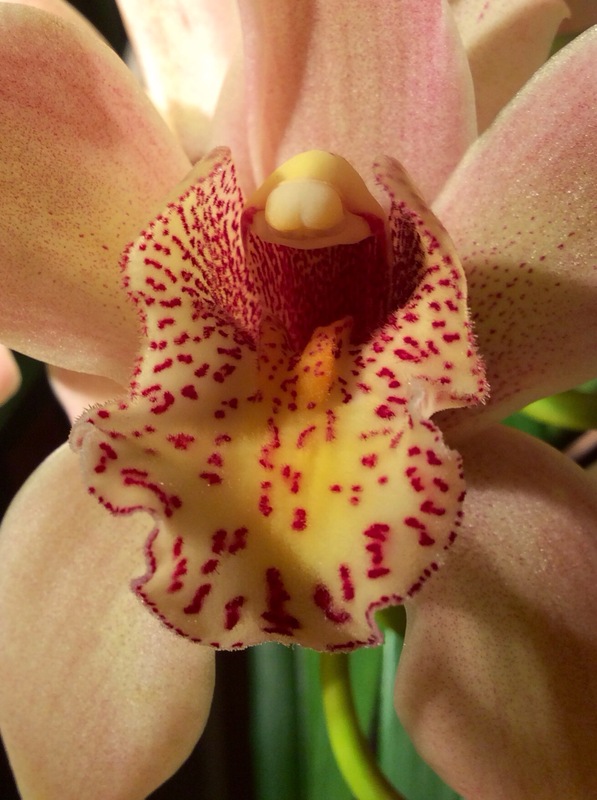 It has sort of the same strappy leaves and bulblets like the Cymbidium but smaller leaves. In the meantime, reading about Cymbidium, apparently they are very tolerant of cold, down to 40 degrees centigrade, and some need the cold in order to be coaxed into bloom. Might make a nice outdoor plant!